"Great to meet a Youth for Christ team from Darwin, Northern Territory," Will Graham shared on Facebook. "They drove 16 hours to come to our event in Alice Springs. My grandfather got his start with Youth for Christ." The town of Alice Springs, in the very center of the Australian continent, is not a place you would stumble across by accident. 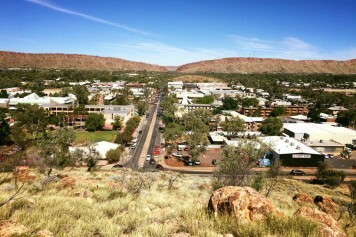 A desert town in the heart of Australia’s “Red Centre,” Alice Springs splits the distance between the nearest major cities. Darwin, on the northern coast, is more than 900 miles (1,500 km) north; Adelaide is 900 miles to the south. After accepting an invitation to preach the Gospel there, Will Graham made the 10,000-mile (16,000 km) journey from the mountains of North Carolina to the Red Centre last weekend. His mission: to tell the people of Alice Springs about the new life they could have through accepting Jesus Christ. Will Graham is following in the footsteps of his grandfather, Billy Graham, and his father, Franklin Graham, by taking the Gospel to Australia. Warren Barnett traveled more than 1,600 miles (about 2,600 km) from his home outside Sydney to attend the events in Alice Springs. “What God has done through Will Graham over the past three days has been extraordinary and an event that will go down in history,” Barnett shared. Watching so many people respond to Jesus Christ at a Will Graham event held special meaning for Barnett, who was saved more than 50 years ago at the 1959 Billy Graham Crusade in Sydney. These days, Barnett dedicates his free time to digitizing the music of the Billy Graham International Crusade Choirs from the last 60 years. During his visit to Alice Springs, Barnett witnessed firsthand the way God is using Billy Graham’s grandson to share the Gospel with new generations. It was the latest chapter in the Graham family’s long history in Australia. Billy Graham preached the Gospel in Melbourne, Sydney, Perth, Brisbane, Adelaide, Canberra, Launceston and Hobart in 1959. He held additional Crusades in Brisbane (1968), Melbourne (1969) and Sydney (1968, 1979). 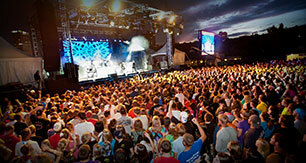 Franklin Graham held evangelistic Festivals in Brisbane, Cairns, Townsville and Sydney (1996); Adelaide and Perth (1998); and Melbourne (2005). 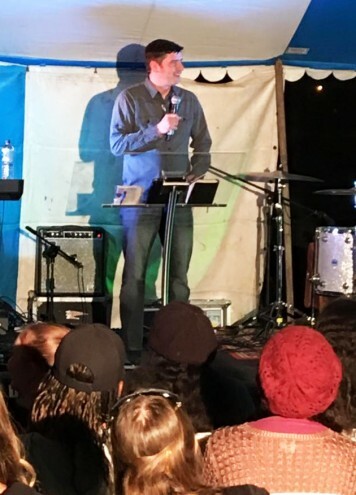 Now Will Graham is carrying the message of Jesus Christ to the heart of the continent, preaching in Gunnedah, Moree and Tamworth (2010); Orange, Bathurst and Lithgow (2012) and Broken Hill (2014). 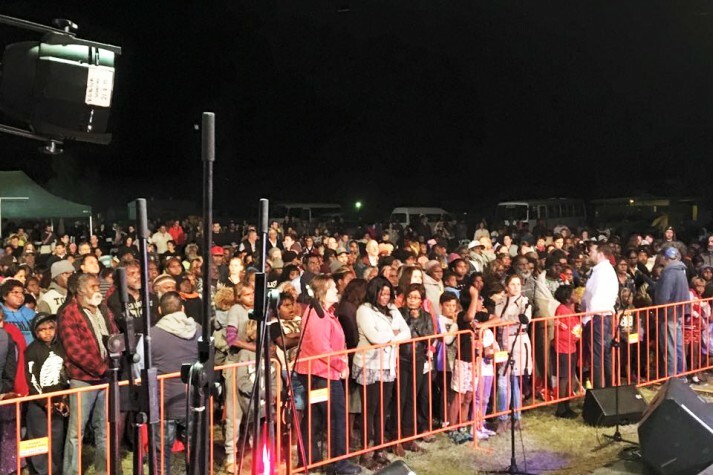 In Alice Springs, more than 800 people responded to the invitation to accept Christ; many of them were making first-time decisions to follow Jesus. For Barnett, it was an unforgettable weekend of answered prayer. 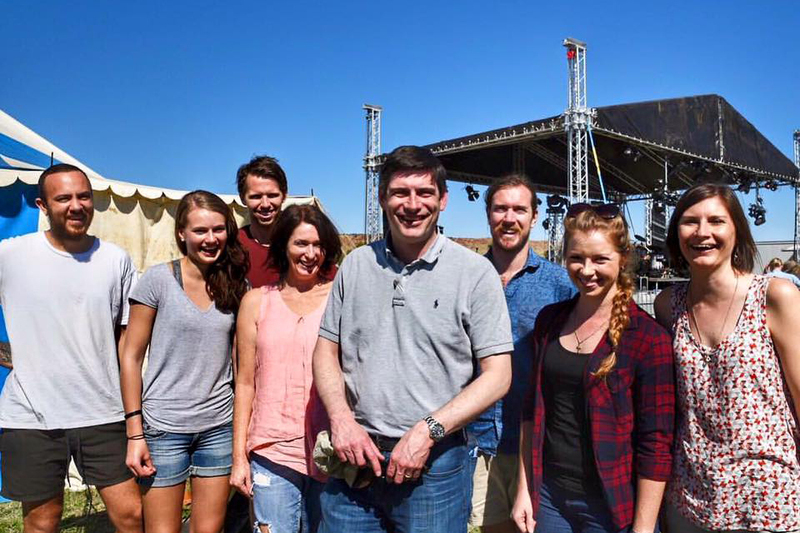 Thousands of Australians heard Will Graham preach the Gospel of Jesus Christ in Alice Springs on May 20-22.